A few months ago in Ethiopia, I was out shopping at Tewodros Square when I met a gentleman with long dreadlocks wearing a colorful knitted hat in the colors of the Ethiopian flag, which is more commonly represented as the Rastafarian hat. He told me that he is from Jamaica, but has been living in Ethiopia for many years. 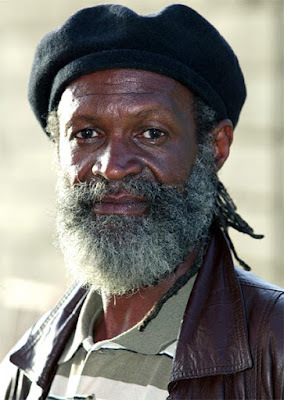 I asked him if he missed Jamaica and he replied, “Noh man, Jamaica is a little island; mother Africa is a whole continent” He told me that he is a part of the Jamaican Rastafarian community devoted to Haile Selassie. The following day I put Shashemene on my to-do-list, and the following week my driver and I headed south to visit the famous Rastafarian town. We sped along the road to Shashemene; my driver seemed tired and I offered to help him drive, but he said no. I told him I had driven all over the world,but he said if you hit a cow there would be a lot of problems. He also said that the Isuzu truck drivers powered themselves on Khat and that is too dangerous. Three and a half hours into our drive, I began wondering who the Rastafarians were and why on earth they had decided to move here. Basically all I knew was that they usually wore their hair in amazing dreadlocks. The Rastafarians are a religious group that worships Haile Selassie I, king of kings, the former Emperor of Ethiopia, as God incarnate. The name Rastafari comes from Ras (Prince) Tafari Makonnen, Selassie's name before he became emperor. Haile Selassie, born July 23, 1892, is said to have traced his lineage back to Menelik I, whom many Ethiopians believed to be the offspring of King Solomon and the Queen of “Makeda” Sheba. Haile Selassie, known as the Conquering Lion of the Tribe of Judah, reigned in Ethiopia from November 2, 1930 – September 12, 1974. The Rastafarian movement emerged in Jamaica among the working-class and peasants in the early 1930’s, who interpreted verses in the Bible in such a way that made them believe that Selassie was God. In the 60’s, Haile Selassie visited Jamaica and granted them 500 hectares of land in Ethiopia on which to settle in a small southern Ethiopian town called Shashamene. 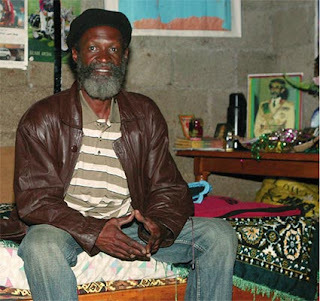 Since the first 12 Jamaican settlers in 1963, the community has grown to over 200 families. The Rastafari movement has now spread throughout much of the world, thanks mostly to the reggae music of Jamaican singer/songwriter Bob Marley. By 2000, there were more than one million Rastafari faithful worldwide. About five percent of Jamaicans identify themselves as Rastafarian. Despite a history of poverty and political problems, Ethiopia has long been regarded as thecultural capital of Africa. In 2005 a celebration, honoring the late reggae singer Bob Marley's 60th birthday, drew Africans from around the world; from Youssou N'Dour to Angelique Kidjo. 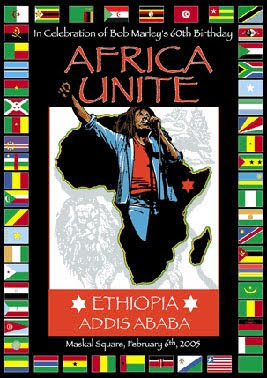 Many praised Ethiopia, the country Marley honored in his songs. "Babylon is falling, Ethiopia is calling," a Jamaican reggae group sang at the festival and the Marley family, encouraging Africans living abroad to move here. One reason the country holds emotional resonance for Africans is because, unlike its neighbors, it was never colonized and was able to retain its cultural and religious traditions. 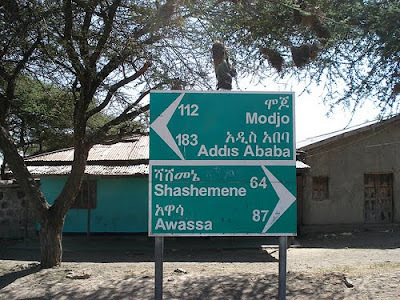 In Ethiopia it seem as though time is standing still; well, Ethiopians have their own way of telling time and their own calendar. Didn't know all that. Thanks for educating me. It's a fine post, very informative and very well written. 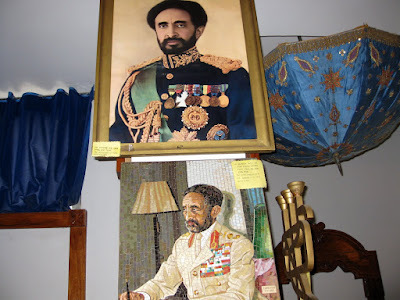 Please accept my request for a RETRACTION ---> in reference to the written statement, "The Rastafarians are a religious group that worships Haile Selassie I, king of kings, the former Emperor of Ethiopia, as God incarnate." That information is a false projection. We worship Jesus Christ as our Lord & Saviour, just as His Imperial Majesty did. We do not worship Haile Selassie as God and it is not a hair doctrine, hair/dreadlocks cannot save anyone. It is great that you have met our dearly beloved brethren in ET. He is a great brethren to meet and spend time with and I am grateful for the wonderful time you have spent there. 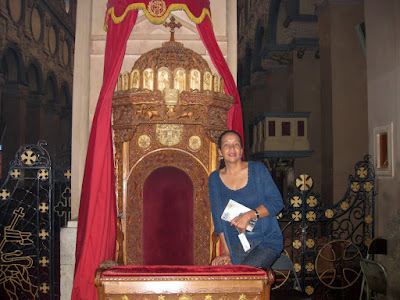 But please, the doctrine must be made clear, Haile Selassie is not Jesus Christ and we do not pray to Haile Selassie. That clarification is critical. 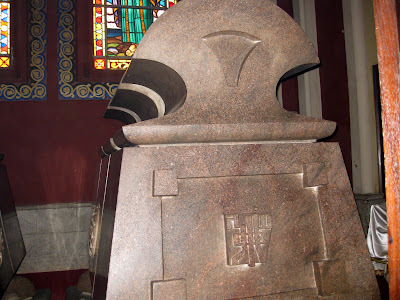 A major revelation is that, Haile Selassie has shown us where the throne of David is. Among many many other things, that would take too long to post right now. Please, if there is anything that you can really grasp onto, is the gift that was given to me. Be of Good Courage and Hold Fast To What Is Good. Thank you very much for visiting my site. From my research, that was the information I gathered and I sited my source as indicated in my article. If there is any information to the contrary I would be very happy to further educate myself and my readers. I really like your blog updates. I read a lot about Haile Selassie growing up. I had a lot of revolutionary people mixed in with the business people I met growing up on the Southside of Chicago. I was amazed with the history and pride of Ethiopia when I read Selassie’s book. Alvin, thank you very much for visiting and commenting. I have not read any books about Selassie. 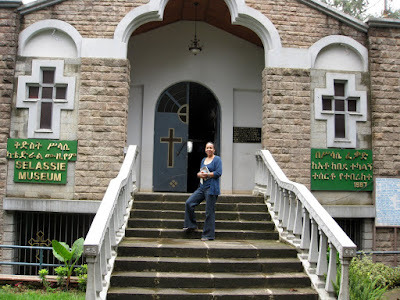 What I learned is only from my research, the museum on my visit to Addis Ababa, and travel guide books. I am planning on buying one soon. Can you recommend one to me? I will be travelling in a week and would like to take it with me. Greetings Sister Linda Crawford, I am delighted that you made that trip to Shashamane and to meet some of the Rastafarians ther, as you can see there are many different groups on the land. It is true that some rastafarians do worship His Imperial Majesty I as God, also some Ethiopians. The photograph of the brethren is some-one that I know personally, and the group of Rastafarians that he belong!s to, does not Worship His Imperial Majesty I as God or Jesus Christ. As our Sister in the faith requested a retraction, I am pleased that you did so and published it, as most articles about the Rastafarions are misinformation, and sends the wrong message. As His Imperial Majesty has told the Rastafarians that no one should worship him as he is a man, for there is only One JESUS CHRIST who was Crucified and rose from the dead on the third day, he is the only one we worship. Your Brethren In Christ.